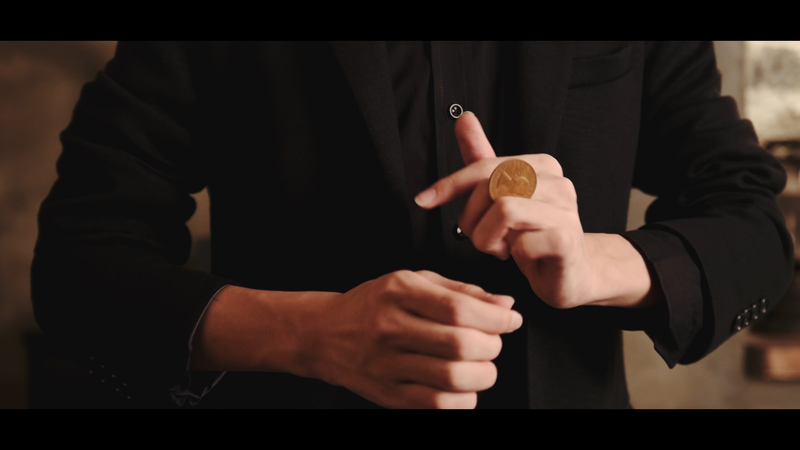 In this 6th DVD from Secret of Magic, we introduce new styles of coin magic, including 7 Routines and 22 coin techniques. These unique and visual techniques will help push your performance several steps further! In this DVD, you can learn coin tricks that we usually see performed with gimmicks, but this time WITHOUT a gimmick! Thus, you can perform confidently in front of suspicious spectators or even magicians! You don't need to buy additional gimmicks to perform. You only need 6 coins for these incredible effects! If you are a beginner of coin magic, don't worry. These lessons are easy to understand for beginners. We recorded the lessons in an "over the shoulder" view for easy understanding. "Graceful and precise, this collection combines some great subtleties with strong visual magic. Some of the best coin magic I've seen in a while!" "I was fooled many times. His routines are so clever and deceptive."